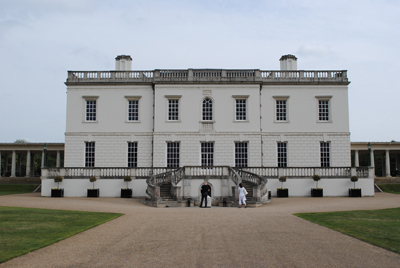 Greenwich icon, the Queen’s House, is set to close on 27th July this year to allow for refurbishment and upgrade ahead of the 400th anniversary of its commissioning and design in 2016. The landmark will be closed until 4th July, 2016, after which those visiting the house will be able to see Orazio Gentileschi’s Biblically-themed painting, Joseph and Potiphar’s Wife, displayed in the building for the first time since 1650. Part of the Royal Collection, the painting was one of a series commissioned for the building by King Charles I and his wife Queen Henrietta Maria. The Queen’s House was designed by Inigo Jones in 1616 for King James I’s wife, Anne of Denmark, and, acknowledged as a masterpiece of 17th century architecture, was the first classically-designed building in country. The makeover will see galleries refurbished, the introduction of new displays and the restoration of components including the ceiling in the King’s Presence Chamber (the Queen’s Presence Chamber was restored in 2013). For more, see www.rmg.co.uk.